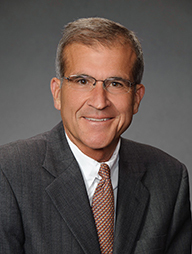 Paul Simmons has built a respected career in water law and has a reputation as a go-to expert and problem-solver for clients in water resource and environmental issues. For nearly 30 years, Paul has focused on water rights and environmental issues affecting water resources. He is widely known for his extensive involvement in the Klamath Basin of Oregon and California, where he represents irrigation interests from both states and has: led a coalition of 20 parties in an ongoing general stream adjudication involving hundreds of parties; counseled, litigated, and represented clients in state and federal legislative forums on matters involving bi-state water rights, endangered species, water quality, tribal, and public land issues. He was a lead negotiator for the historic Klamath Basin Restoration Agreement and continues to assist in related legislative efforts to authorize that and related multi-party settlements. That work typifies his overall practice, which serves clients throughout California and in other states on surface and groundwater rights, endangered species, and water quality matters. He has decades of experience in water quality regulation and endangered species matters, and is a frequent speaker on issues of water and environmental law. An atypical traveler, Paul has been to all 50 of the United States and throughout the Americas, including time as an exchange student in Medellin, Colombia, and hiking the Inca Trail. He and his wife design domestic travel around hiking, baseball, and art.